Hi everyone! welcome to my crazy life! I feel like I am so behind in posting here. so much has happened, so many trips, so much life happening. All good! so all this entails a couple of weeks of sewing a little here and there! I finished and mailed off some 3 1/2" 9 patches, civil war fabric. 50 sets. a set was 2 9 patches. no pictures. 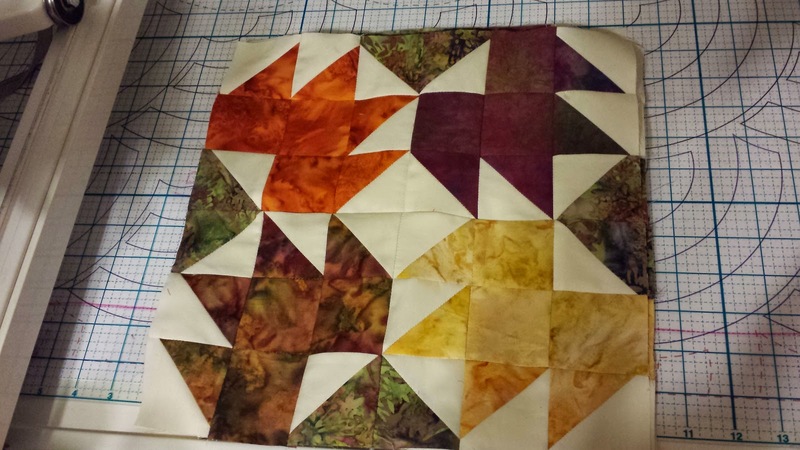 I finished 12 maple leaf blocks for a swap. and will be mailed on the first of October. 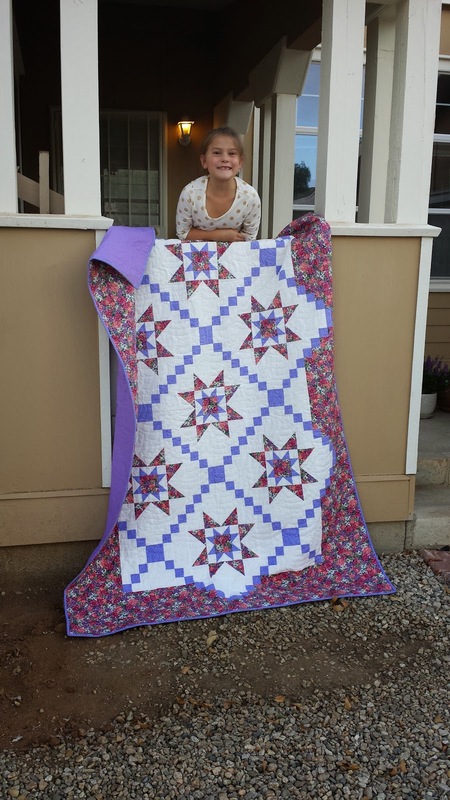 I quilted a quilt for my granddaughter, Isabelle. she turned 8 and was baptized last week. yeah Belle! My dear sweet friend mardi made the top. She is not a pink or purple girl! She knew I had lots of granddughters who are in love with pinks and purples. So she gave it to me a while back. Thank you Mardi! 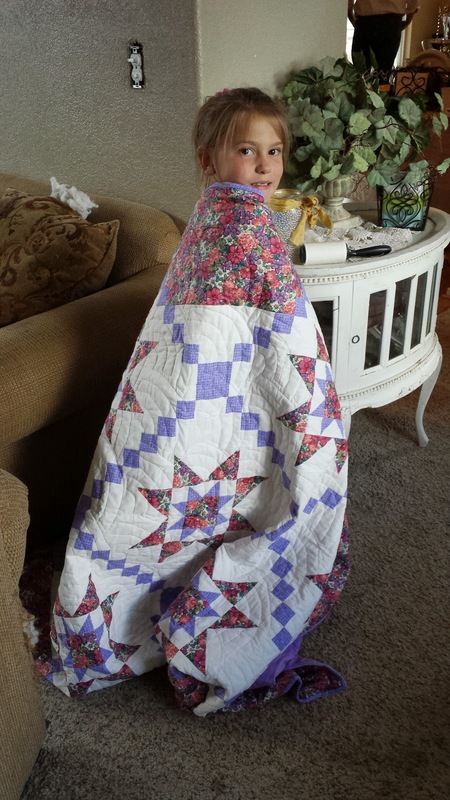 Belle loved her quilt. 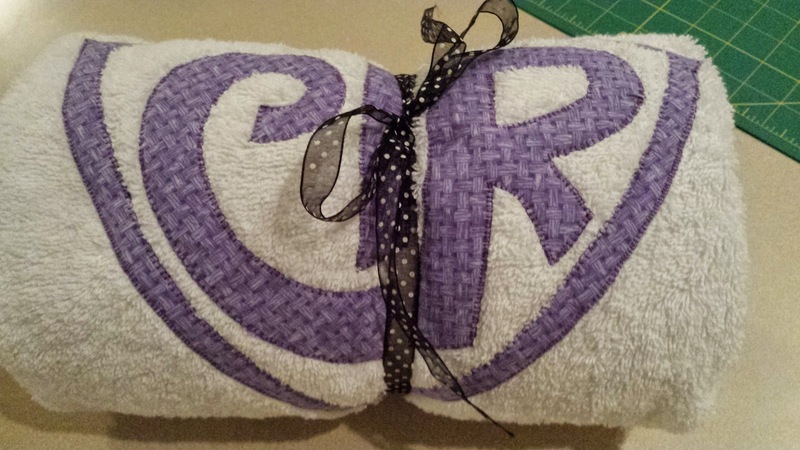 I used a Baptist fan panto on it. it seemed appropriate, don't you think? 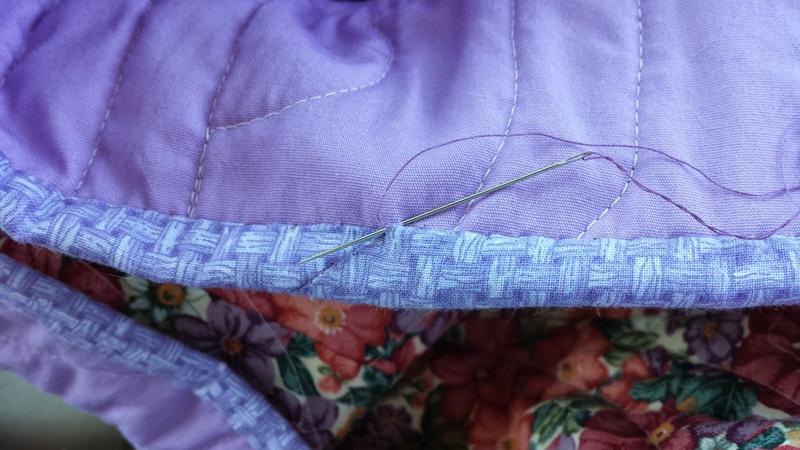 I did the last stitching of the binding while in the car! 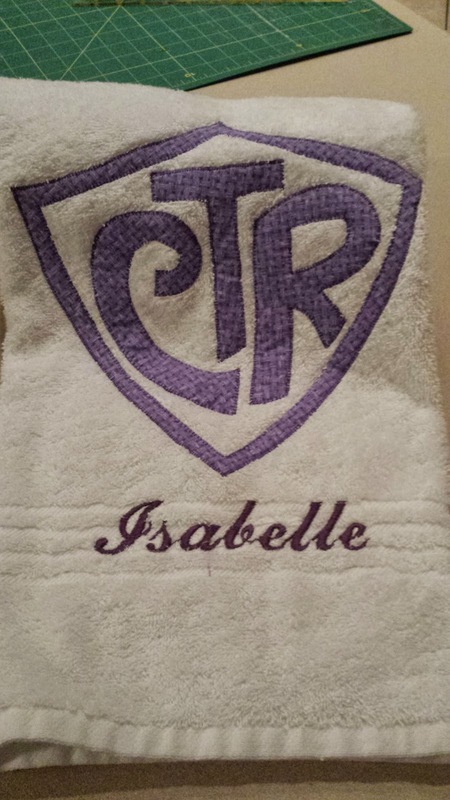 I also made a towel for her to use to dry off after her baptism. So I am off to download more pictures and write up more blog entries!